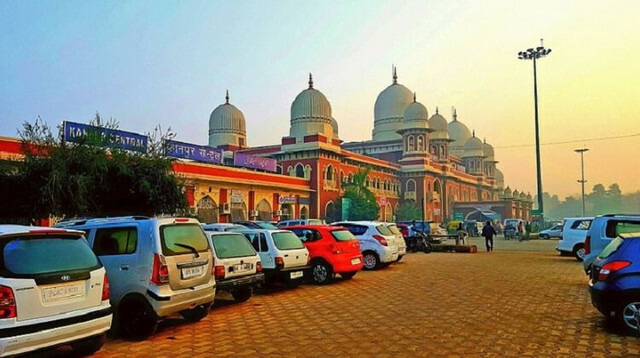 Kanpur is the most populous state of Uttar Pradesh and is largest industrial city of India. This city is popular by the name of Leather City. It is because this city has finest and largest tanneries inIndia. When you are touring this city you will get to discover its commercial and industrial importance. Situated on the banks of the Ganges Riverdo not miss shopping while you are touring Radha Krishna Mandir, Panki Mandir, Kherepati Mandir, Sarsaiyya Ghat etc. Kanpur carries very strong local culture and you will find similar items for shopping on the streets and bazaar shops. You can think of buying local handicrafts or colorful fabrics. The more you hunt the city streets the better opportunities you will get to buy local products. Also you get the opportunity to bargain when you buy from local people. Looking for good deals or offers in Kanpur? You can shop at the Big Bazaar to get some discounts on the items that you intend to shop. Besides there are several good shopping malls in Kanpur like Z Square Shopping Mall, Rave 3 Mall, Rave Moti, South X Mall to buy branded things. You can also try shopping at Globus Mega Mall for shopping top notch products.